Karlovy Vary, Puchon, Chicago, Palm Springs (New Voices/New Visions), Miami (In Compeition), Seattle (Contemporary World Cinema) etc. BLACK FIELD is set in 1654, when Greece was under Ottoman Empire occupation. A Janissary (a Greek warrior recruited by force at a small age from his Christian family to serve at the Turkish army) arrives heavily wounded at a remote Christian female monastery. He is nursed by Anthi, a young Greek nun who has taken an oath of silence. They fall in love against all odds. But Anthi is tormented by a dark secret soon to be revealed: she is, in fact, a boy who grew up as a girl hidden in the monastery, in order to avoid being captured and becoming a Janissary. Born in Athens, Greece, Vardis Marinakis studied at London’s National Film School, UK, under the supervision of Steven Friars. He has directed international award-winning short films like DEFTERI FYSI (SECOND NATURE) and SUMMER LOVE as well as numerous television commercials. BLACK FIELD is his feature film debut. BLACK FIELD is a cross gender love story of two people with mistaken identities. 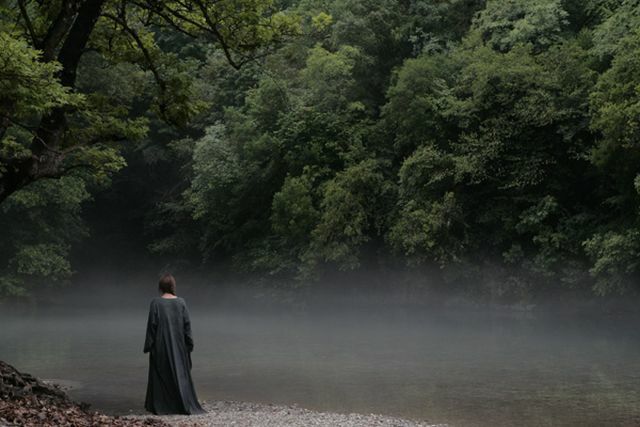 It is story inspired by true events that transcends time, religion and sexual identity... a dark fairytale for adults following the tradition of directors like Terrence Mallic and Andrei Tarkovski; it narrates an archetypal story using powerful visuals to depict the sacredness, fear, poetry and beauty that surround human beings and their relationship with nature.